Dida, the Brazilian who was in net for AC Milan against us in the 2005 Champions League Final, has spoken about his countryman Alisson. The legendary stopper was quick to praise Liverpool’s 26-year-old, who’s been a revelation since signing from AS Roma in the summer of 2018. Dida has told Alisson to remember that he can still be involved in the game even when the ball is far away – but in fairness – we don’t think that’s something he necessarily needs to work on – such is his exceptional ability to come out of goal and sweep up opposition through-balls. “I could see his qualities from the very beginning,” Dida told the ECHO. “He was very agile and quick to read the offensive schemes. It was very clear to me that he would become a top player . “I did not give him any particular advice, but when you train together I think everyone tries to get something from the other to improve. 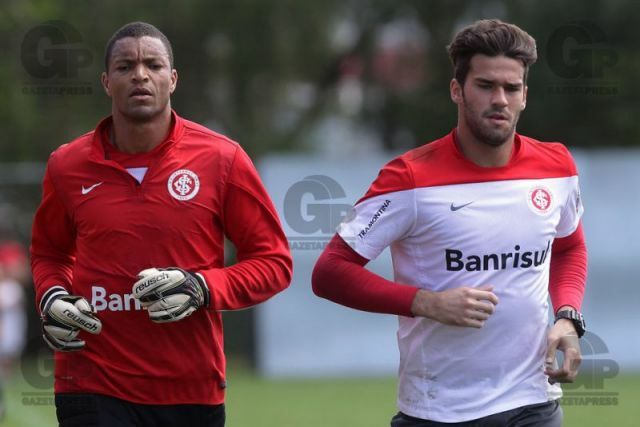 The pair actually played together at Internacional between 2014 and 2015, which was the final year of Dida’s career. The Brazilian eventually lost his place to the younger man and decided to call it a day, before Roma eventually brought Alisson to Europe. From here, the rest is history, with Liverpool temporarily making Alisson the most expensive goalkeeper in history last year, before Chelsea’s Kepa broke the record. His form though has dropped in 2019 and we really hope his save percentage improves, as before Christmas, it was the best of any keeper in Europe!